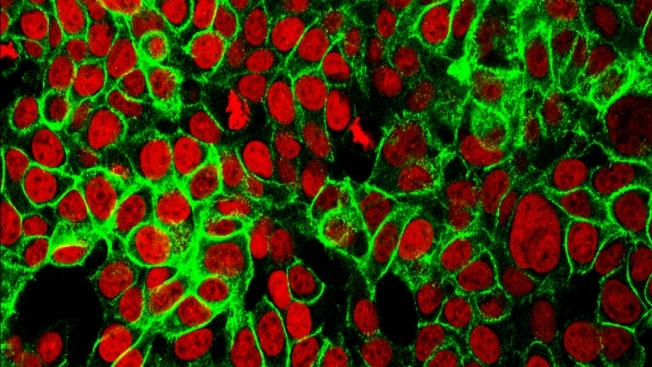 This undated microscope image provided by the National Institutes of Health shows human colon cancer cells with the cell nuclei stained red. According to new American Cancer Society guidelines released on Wednesday, May 30, 2018, most U.S. adults should begin getting screened for colon cancer when they turn 45. A West Michigan oncology nurse was inspired by her own battle with childhood cancer to help kids fighting similar diseases. Read more on WOOD.